KAMPALA – Travelers will soon be flying the Crane of the East African country – Uganda – after Uganda Airlines’ first of four bombardier CRJ-900 (CRJ9) planes takes to the skies for the first time in Montreal, Canada. 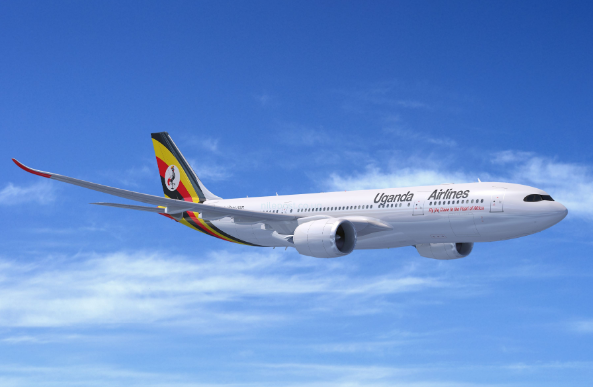 The planes with a seating capacity of up to 90 passengers will fly from Entebbe International Airport to regional destinations such as Nairobi, Kigali, Bujumbura and Juba, among others. A (CRJ9) test flight was carried out at Montreal Mirabel International Airport, Canada on Sunday, February 17. Uganda Airlines was the flag carrier of Uganda until operations ceased in 2001. Government has now brought the airline back to life with an order of 4 CRJ9 and 2 A339 aircraft. The video shows the first of four CRJ’s for the airline!